Get more work done even in the restricted spaces with the power angled design Tilting Mud Bucket that delivers maximum versatility. Our Tilting Mud Buckets are designed to trim efficiently and tilt to 45 degrees either side. Add versatility to your operation with a power angled tilt design that’s ideal for batters, sloped terrain, dams, landscaping or operating anywhere you require versatility. Heavy-Duty Top Box – Added strength through the bucket for increased durability. Full 45 Degree Tilt – Greater freedom of movement as the bucket tilts a full 45 degrees in both right and left directions. Incredibly Strong Hydraulic Tilting System – Dual double-acting cylinders allow the operator to tilt it at 45 degrees in left and right directions. Additional Bucket Backplate Wear Protection – For increased bucket life and reduced maintenance yielding lasting returns on your investment. eiengineering’s Tilting Mud Buckets deliver a streamlined design and incredibly strong hydraulic tilting system. Smooth control with twin double-acting hydraulic cylinders sharing the load. Built from battle-tested high-grade eie80 quench and tempered steel for superior defence against abrasion. 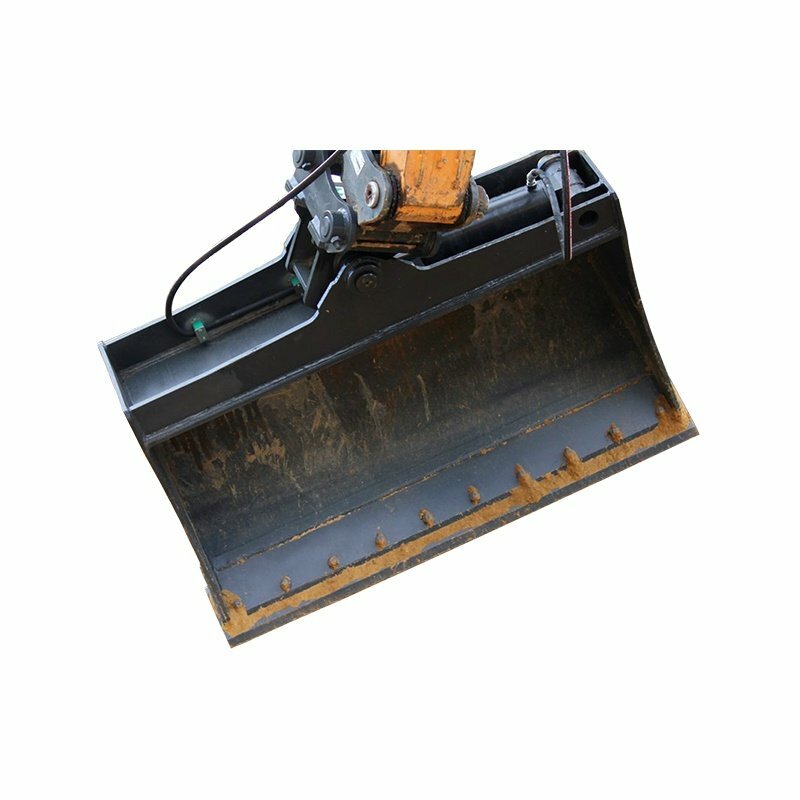 It features a double back plate, heavy duty top box to ensure it withstands any dynamic wear to significantly extend the life of your bucket. Twin Double Acting Cylinders – Twin double-acting cylinders ensure tilting to 45 degrees either side. 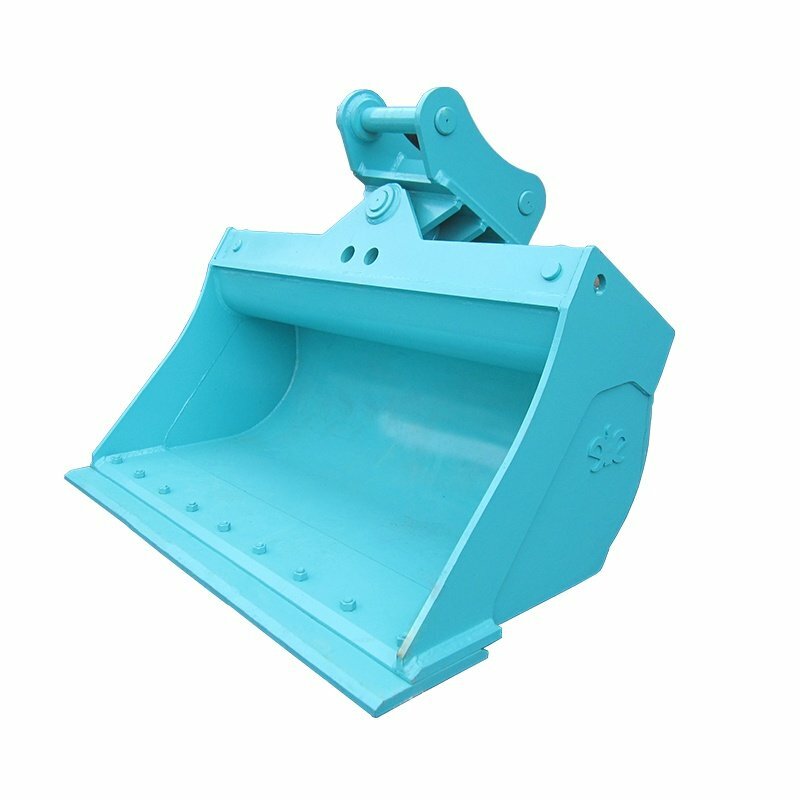 Double Back Plate – Added protection that also evenly distributes digging force through the bucket and allows the bucket to withstand constant dynamic and torsional loading. Robust Construction – For increased strength and durability and reduced service and maintenance costs. Customise to Exact Specifications – Available in any bucket width/depth/capacity. Heavy Duty Hydraulic Cylinder Seals – More reliable with better tolerance for high pressure and impact, eliminates cylinder-creep and reduces maintenance costs.